Phelim McAleer had seen a lot of disturbing things as an investigative journalist. But sitting in the Philadel­phia courtroom as abortionist Kermit Gosnell stood trial for multiple counts of murder, he didn’t know which was worse: the evidence being presented, which included the most horrific testi­mony and photos he’d ever seen, or the fact that the press gallery sat complete­ly empty. Where were all the journalists who should be covering this story? He decided right away that the Gosnell case would become the subject of his next film. At first, his partner and wife, Ann McElhinny, wanted nothing to do with it. She and Phelim had al­ways considered themselves neutral on abortion, and besides, this was way too controversial. But after reading the court transcripts, she agreed with her husband. She and Phelim had a histo­ry of covering stories that mainstream journalism was misreporting (or in this case, ignoring), and here indeed was information of significant public interest. It was beyond shameful that no one was covering it. Thorough investigators and research­ers, Phelim and Ann pored over doc­uments and interviewed people with all manner of connections to the case. It was a story that got more disturbing with each new discovery. As it turned out, not only had Phelim and Ann dis­covered the case by accident—the only reason they’d learned of it was because the perennially curious Phelim had a habit of checking out court cases on his days off—but the monstrous con­ditions and practices of the abortion “House of Horrors,” as Gosnell’s clinic came to be known, had also been dis­covered by accident. Kermit Gosnell had been the subject of an illegal prescription drug racketing investigation, which had precipitated a narcotics raid in ear­ly 2010. But when officials arrived, they were utterly unprepared for what they encountered: moans from semi-conscious patients lying about the place, none of whom were hooked up to any kind of monitoring device; blood, urine, trash, and cat hair on everything, including the medical equipment; and most disturbing of all, bloody collections stored through­out that turned out to be exactly what they looked like—tiny fetal remains, feet mostly, stuffed in some places into used water jugs, milk jugs, cat food containers, or juice bottles. How does one even process such an infernal seat of horror upon horror, let alone cover it as a journalist? Ulti­mately, Ann decided to write a book in addition to the film, because there were aspects of the case that wouldn’t end up in the film, but that should be recorded. The result is a book entitled Gosnell, The Untold Story of America’s Most Prolific Serial Killer (2017), a page-turning investigative account of the case, which must be read to be be­lieved. Just when you think it can’t get any worse, it does, as Ann exposes fail­ure after appalling failure, unflinch­ingly naming names of officials whose responsibility it was to ensure stan­dards, but who ignored clear warning signs, looked the other way, or willful­ly ignored the law. This was consistent with a recurring theme across all aspects of the case—the run­ning psychic undercurrent of protecting abortion. From the health department to the po­lice to the district attorney to the judge, no one wanted to “touch” abortion or even risk offending “pro-choice” sensi­bilities. But neutrality on abor­tion persists behind just such a veil of willful ignorance. 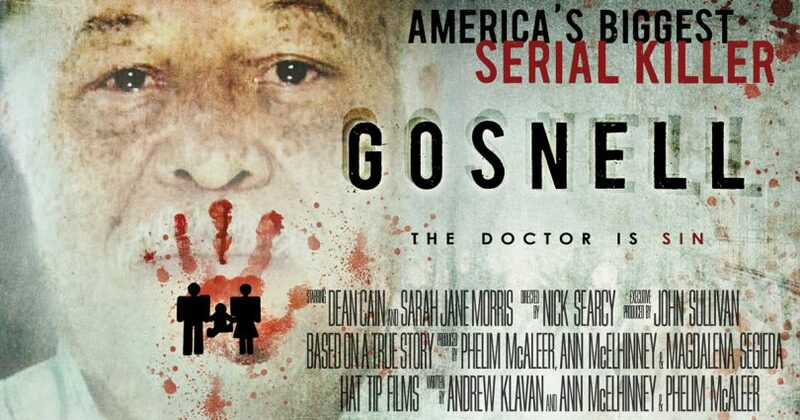 With Gosnell: America’s Biggest Serial Killer (the movie), Phelim and Ann remove that veil. In making it, though, they took great care to craft a feature film that both accurately conveys the story and educates the pub­lic about what abortion actual­ly is. Until Gosnell, Ann found pro-life activists distasteful— too earnest, too religious, may­be even manipulative. “Back off with your scary pictures,” she thought, “I’m sure they’ve been photo-shopped anyway.” After learning of the Gosnell case, though, everything changed. The images shown in the courtroom were not from activists. They were from po­lice detectives, medical examiners, and employees of the Gosnell clinic testify­ing under oath. One of the most pierc­ing moments of the trial occurs when an abortion doctor from a “safe, clean” facility described what constituted “a good, legal abortion.” Nearly everyone on the jury identified as “pro-choice” at the outset, but some let out audible gasps as she explained in detail exactly what she did. Gosnell: America’s Biggest Serial Killer had been scheduled for a fall 2017 rollout, until, in a rare move, Judge Jeffrey Minehart, who had pre­sided over the trial, filed suit to block release, charging that the authors act­ed “with actual malice” and portrayed [Judge Minehart] “as a villain in their story of the righteous versus the wick­ed.” The suit has caused delay, but Phelim and Ann are undeterred and hopeful for a spring 2018 release. Initial feedback from screenings has been overwhelmingly positive. Although it was admittedly “hard to watch,” one viewer explained, “it was masterfully done.” She praised the producers for conveying the gruesome nature of what happened in a way that she could take her 10-year-old to see. And see it, we must. In 1993, Schindler’s List pierced the world’s conscience through a judicious use of film. Similarly, Gosnell: America’s Biggest Serial Killer presents Ameri­ca with a profound moment of truth. With God’s help, many will pause, and (hopefully!) with a changed heart, set about extricating this evil from our midst. Sadly, some will still retreat be­hind the cowardice of neutrality. Ei­ther way, this movie will help everyone make a more informed choice.